In default Magento 2 Marketplace, the seller cannot add custom attributes to their products on their own. 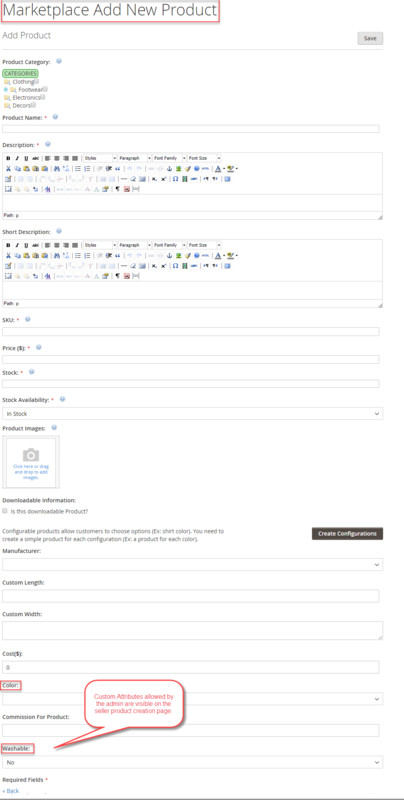 So, this Magento 2 Marketplace Custom Attribute module allows the sellers to add custom attributes to their products and those attributes are displayed on the product page. The admin can create custom attribute from the admin panel and assign those attribute to the seller for adding in their products. Each and every product type has different features and specification. 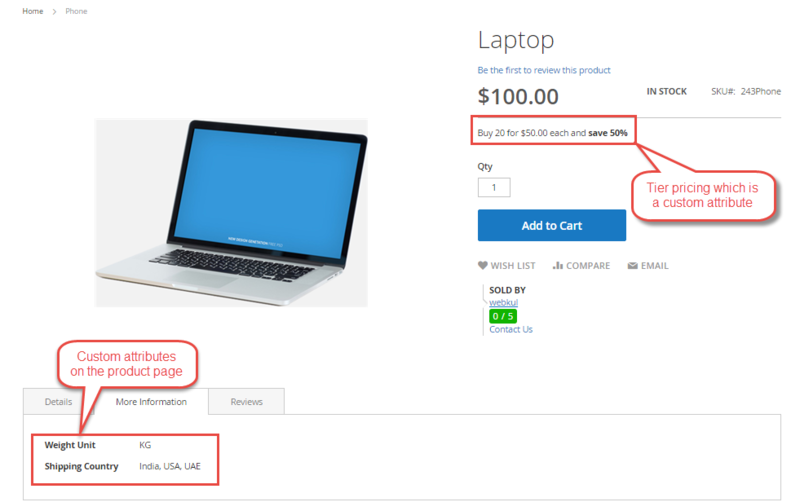 With the help of this extension, the seller can display additional and unique product characteristics & features. For example – For t-shirts, you want to create an attribute “Size” with values XS, M, and L. But you cannot apply this attribute for Pendrive, for which size attribute is not an applicable attribute. In this case, you want to create a “Storage” attribute for pen drive. Therefore, using Magento 2 Marketplace Custom Attribute module the seller can add different attributes as per each product specification. Attributes are the building blocks of the product catalog. Therefore, the module lets sellers add additional information of the products which improve the product listing on the front-end and will drive the customer attention towards the product. The seller can conveniently add any relevant attributes to the product that will let the customers get a better understanding of the product. In physical stores, the customers can easily discriminate the products on the basis of color, size and other variants. But using Magento 2 Marketplace Custom Attribute module, the seller can provide the same shopping experience to their customers on the Magento 2 store also.